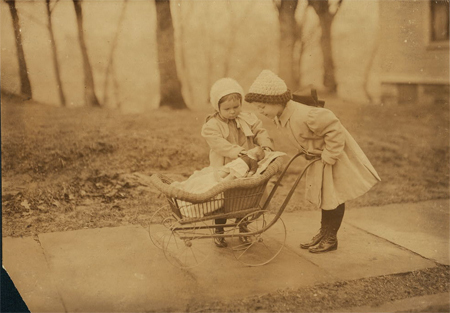 Primary source images are great resources for integrating language arts with social studies into activities that meet Common Core State Standards. 1. Use a combination of drawing, dictating, and writing to compose opinion pieces in which they tell a reader the topic or the name of the book they are writing about and state an opinion or preference about the topic or book (e.g., My favorite book is…). What questions do you have about this picture? How many __________ do you see? Imagine you are a person in this picture. What are you saying? Imagine you are an object in this picture. What are you thinking? 5. With guidance and support from adults, respond to questions and suggestions from peers and add details to strengthen writing as needed. Provide students with feedback (teacher or peer) on one of the prompts. 6. With guidance and support from adults, explore a variety of digital tools to produce and publish writing, including in collaboration with peers. Publish images and student responses on a blog or using slide presentation software. Please feel free to download and distribute the CCSS Kindergarten Writing Prompts & Activities (but please keep the format, including logos, intact).